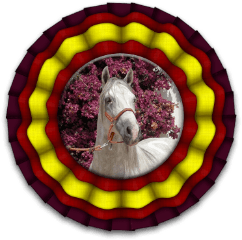 Often clients are some what puzzled regarding the value of our PRE – Pura Raza Española – Andalusian horses and therefore it is useful to explain by what factors prices are influenced. These are qualities that the PRE horse should show in the eyes of the Spanish judges at the “Concursos Morfológicos” – the Conformation Shows for Pure Breed Spanish horses. The traditional movement of the PRE horse is upward and forward, and this more pronounced knee action has become more in demand in International FEI dressage lately . Mares, stallions and youngstock with an important show record can be very high priced as will those animals that have passed the second phase of the breeding approval revision called “Reproductór Calificado”. As for types, you will find the true baroque horse is getting more difficult to locate as breeders focus more on producing the more modern type of horse of lighter build with forward reaching movement . Bloodlines are obviously of influence on the requested price. Horses that carry the brand of well known stud farms or descend from famous ancestors will have these factors reflected in their prices. As the Spanish Pure Breed horse becomes a more familiar sight in the FEI dressage show ring , amateur riders from all over the world come to Spain looking for a PRE horse with an advanced training level . The comfortable movement of these horses, together with their intelligence and their outstanding temperaments, make them ideal for the not so young dressage rider , or for those riders that have lots of obligations in their lives and can not afford to risk a spill! Experienced riders are also very interested in purchasing top quality young horses with international competition potential – these horses are rare – just as rare as they are in other breeds. It is becoming increasingly difficult to find quality horses with advanced training and hence their prices are high. The demand is much larger than the production. Training a horse is costly and time consuming ,therefore only the best quality horses will receive further training. Many dressage introduced horses will get already sold when they are at a medium level and young horses with FEI dressage movement will often leave the country before they are broken in to saddle even. The coat colour can also be of considerable influence on the price. Although some breeders have taken to produce black stock, top quality black mares and stallions are few available, and thus they are higher priced. Over the past years horses with diluted colours have become fashionable mainly for breeding purposes. The few quality Pure Bred Spanish adult buckskins, cremellos and the odd perlino , are often being sold at exclusive prices although nowadays they are more reasonably priced than some time ago as there are more available . Chestnut coloured horses are rare and the demand obviously pushes their prices up too specially of chestnut mares as they are being used to produce diluted offspring. Besides a few exceptions mares are not ridden in Spain and are being used almost exclusively for breeding. Quality broodmares, or those with special bloodlines or colours, can be just as expensive as – if not more expensive than – their male counterparts,. Fillies with exceptional characteristics – colour, conformation, movement or bloodlines – can fetch extremely high prices. The influence of the dam on the foal is dominant in this breed. Therefore a Stud farm in Spanish is called “ Yeguada “ which reflect the recognized importance of the mare on the offspring. Mares that do not have specific characteristics can be obtained at reasonable prices. The recent complicated situation of the Spanish economy, now fortunately succeding a recovery, obviously has had influence on the pricing. Modest quality horses have been sold for low prices or even sent for slaughter. Due to their main businesses encountering problems as a result of the economic crisis, many gentleman breeders, who represented perhaps 95% of the total of Spanish breeders, have either stopped breeding or have reduced their stock and production and are not investing in the training of horses. The number of Spanish amateur riders that can afford keeping horses , has reduced considerably , hence finding healthy well trained true to type general purpose riding horses at an age of 5 – 8 years is very complicated nowadays. The search for quality horses, well bred, well raised, correctly started or with advanced training is becoming a frustrating and time consuming task for brokers and potential buyers. Finding horses that fulfill clients’ expectations is more difficult than ever now. Prices are possibly more realistic nowadays than they used to be ten years ago, but like when you are buying clothes, a car, or a property , good quality always has a related price tag to it. So, keeping this in mind, if you are looking to purchase a top quality Spanish horse, instead of believing that prices have dropped to their lowest level ever after the economic crisis, perhaps you should consider paying more than you were initially considering because you are going to buy a rare commodity! Copyright Miriam Frenk – these texts are not to be reproduced without permission from the author.